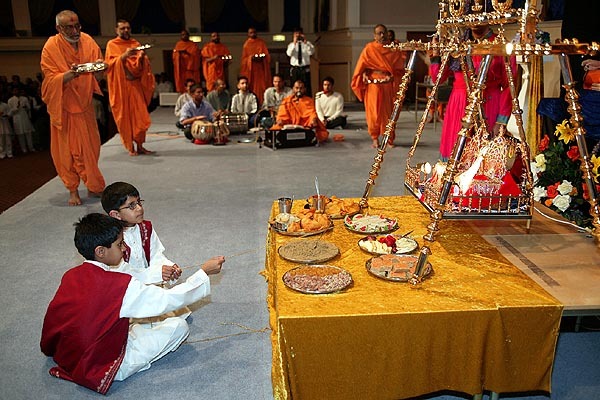 On Tuesday 29 March 2004, the auspicious festival of Swaminarayan Jayanti and Ramnavmi was celebrated in a majestic way at BAPS Shri Swaminarayan Mandir, Neasden. 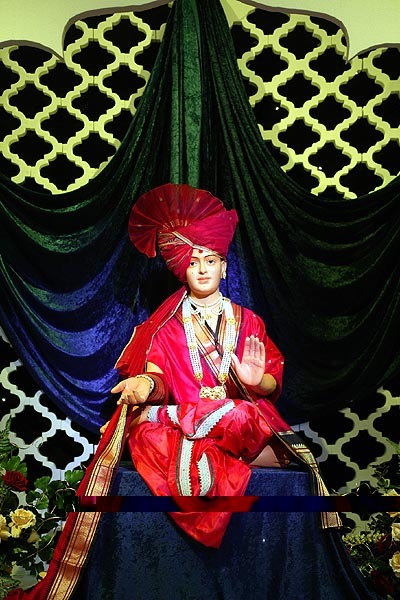 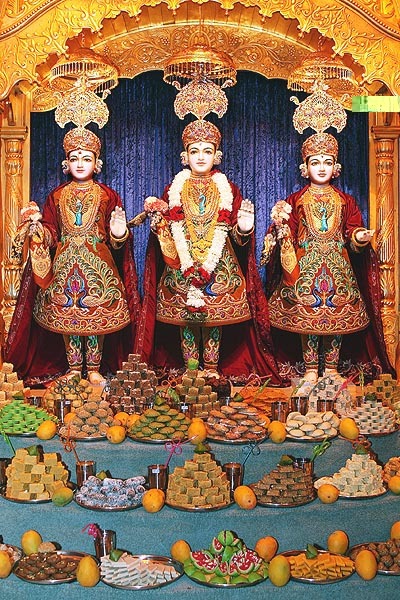 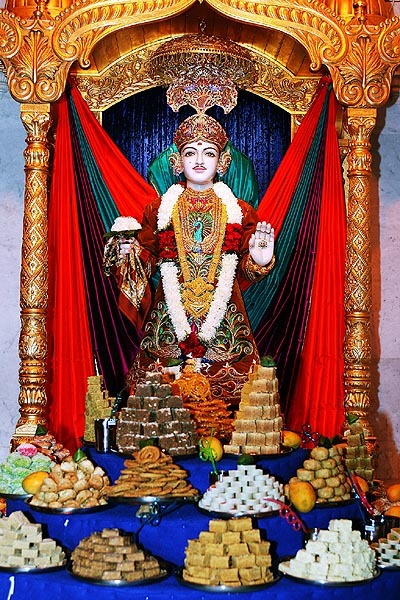 A magnificent Annakut was offered to the sacred images of Ghanshyam Maharaj and Ram Sita. 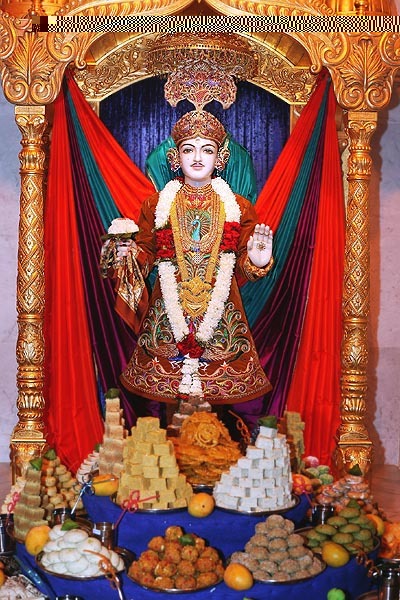 At 12 noon, the birth arti of Ram Sita was performed by the sadhus. 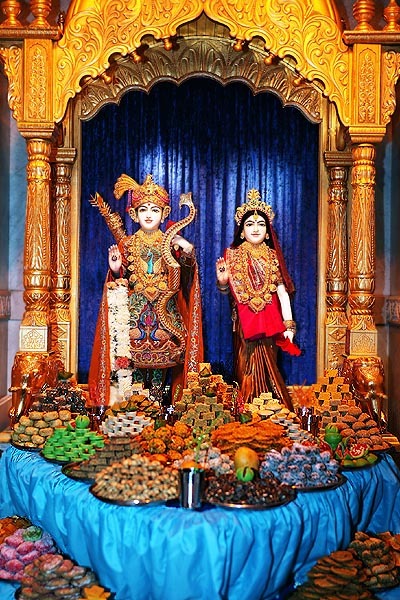 In the evening, discourses extolling the virtues of Shri Ram were given by the sadhus. 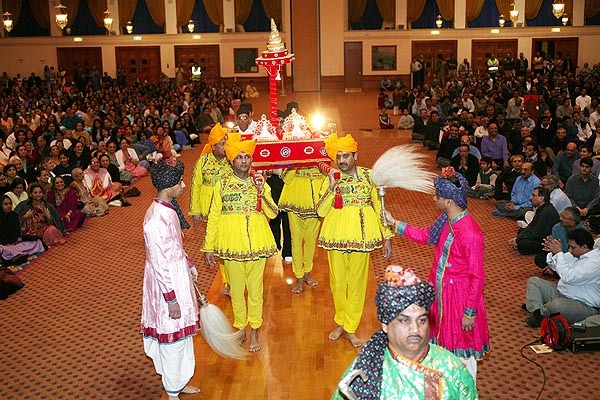 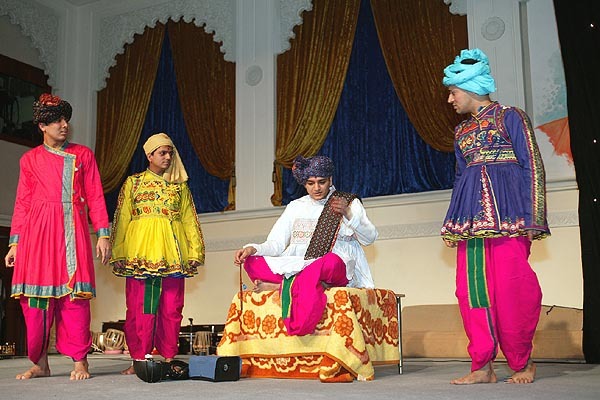 Thereafter, a special evening assembly was held in which the divine life of Bhagwan Swaminarayan was presented through devotional bhajans and dramas, together with discourses given by the sadhus. 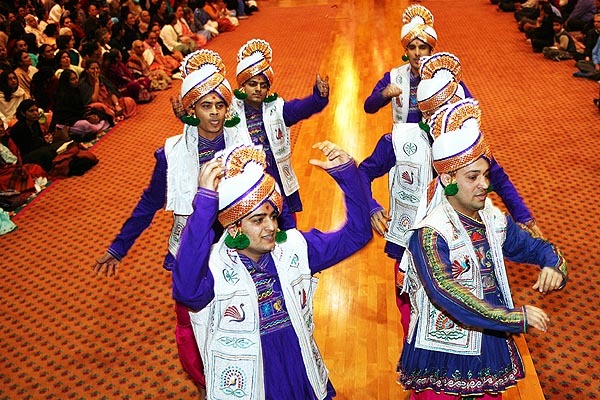 Thousands took part in this grand celebration, which climaxed in the celebrations of the birth of Bhagwan Swaminarayan at 10.10pm.